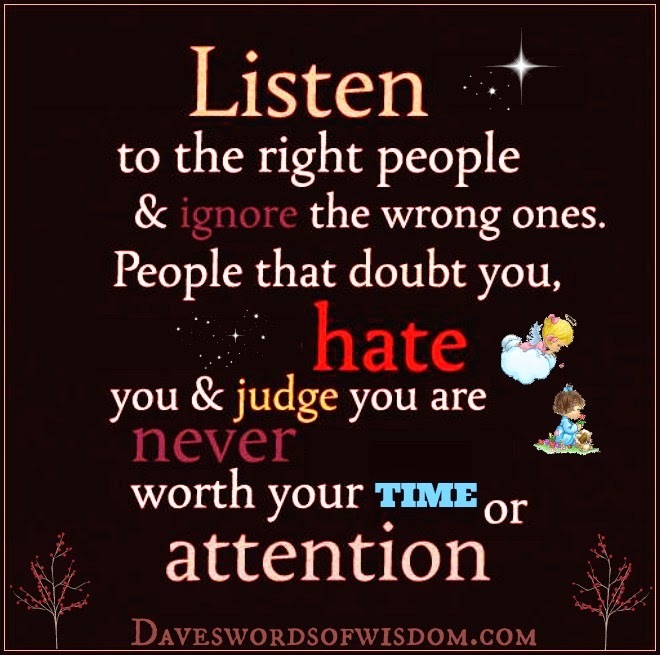 Daveswordsofwisdom.com: Listen to the right people. Listen to the right people and ignore the wrong ones. People that doubt you, hate you and judge you are never worth your time or attention.